Here’s a very easy and delicious holiday treat to take along to those parties to treat yourself and avoid temptations. Check out our girl, Tiff’s original post. Follow her on Facebook for some great recipes and keto lifestyle tips. This sweet treat is perfect for the holidays and can easily be incorporated as a topping for other keto dessert recipes. SCORE! If your sweet tooth goes beyond the holiday season and must be kept in check year-round, this recipe will be the perfect remedy. It is high in healthy fats and extremely low in carbs. It delivers that sweet/savory flavor with a nice roasted crunch. 2. Line a large baking sheet with parchment paper. Set aside. 3. In a medium bowl, whisk egg whites until frothy. Add Swerve Sweetener, spices, and pink Himalayan salt. Whisk the mixture until the ingredients are thoroughly combined. 4. Add the pecans and gently toss to coat with a large spoon or spatula. 5. Once coated, spoon the pecans onto the parchment paper. Spread pecans evenly over the baking sheet. 4. 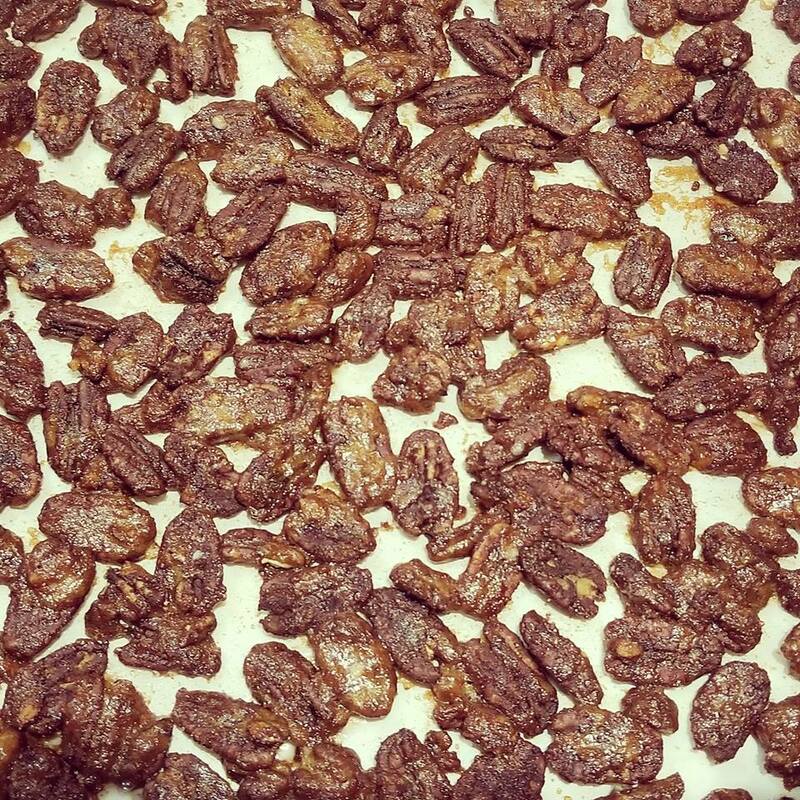 Bake for 15-20 minutes until pecans are toasted a golden brown. 5. Remove from the oven and allow to cool completely so the Sweetener hardens. 7. If you’re not using the candied pecans right away, store in a ziplock baggie or airtight container in the freezer. Here are some other delightful ways to enjoy pecans!